It’s time to schedule your next trip in Mexico! 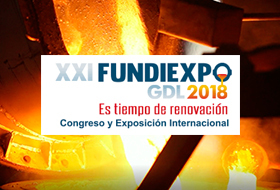 Visit us from October 24-26th, 2018 in Expo Guadalaraja, booth 347. Our experts will focus their presentation on premium and specialty products, discover as an exclusivity the new Premium 460, dedicated to the foundry activity. Come for sharing together your future success story!